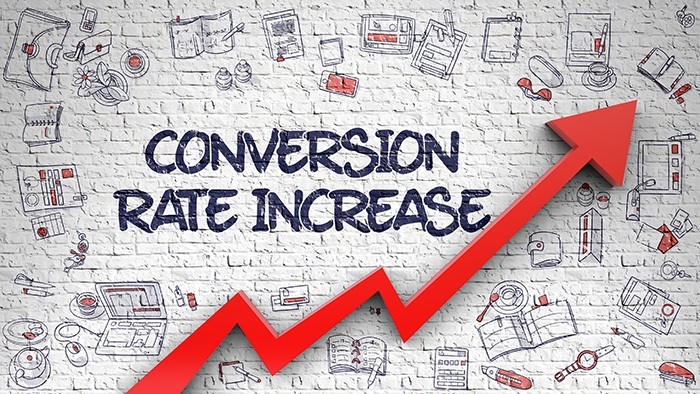 We always say the ASO is not only Search… In this post we are going to see the impact user ratings and reviews have for both Conversion Rate and Visibility. 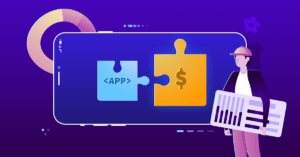 There are millions of mobile apps available, thousands of competitors, and lots of them do similar functions or tasks. How do users decide which one fits best? When users search for apps or browse the app stores, they will see the App Icon, the App Name / Title and Average Rating, so it is important to work on these aspects in order to rank the app better. Today we’ll see how user ratings and reviews impact ASO and share some tips and strategies on how to deal with them and improve them. Ratings and reviews are crucial ASO factors, for both conversion rate and visibility! How do Ratings and Reviews affect Conversion Rate to Download? 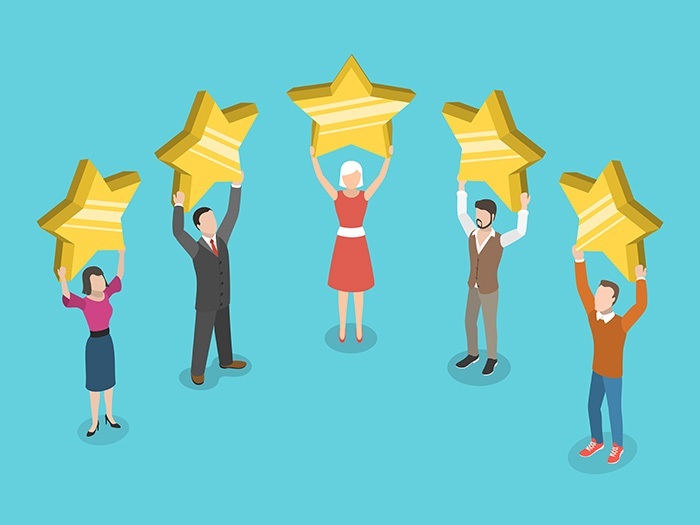 Ratings and reviews are simply a way for users to express their sentiment towards an app either rating it from 1 to 5 stars, being 5 the best rating, and writing a review on which users put into words what they like or dislike about it, or even ask for new features. In the digital world that we currently live in it’s becoming more usual to buy products online, and ratings and reviews play a key role in almost all marketplaces and e-commerce. They are a component of “social proof” that the product is worth buying or downloading in this case, and therefore users will definitely take it into account. It’s easy to see that tendency in e-commerce like Amazon, but it’s getting more relevant than ever in other markets like app stores, too. That being said, it is fair to say that ratings and reviews are a vital factor in any marketplace, as the number and quality of ratings and reviews have an influence on the number of sales or downloads. To what extent? It is difficult to say, but good average rating (above 4 stars) has proven to lead to a better Conversion Rate to download in the app stores, which makes an app more relevant and helps in terms of visibility. So, planning a good strategy to get more and better ratings and reviews is a must for any App Store Optimization strategy. Learn more about the importance of ratings and reviews in this case study. As stated before, most of users check a game or app’s average rating before downloading. And if they do so with free apps, imagine when it comes to paid apps: the number increases. We can see average rating in search results in both app stores (Apple App Store and Google Play Store), so users will see them for sure. As we can see on this graph, apps that are rated 3 or less are hardly considered to download. In contrast, those that show 4 stars or more get all the acceptance, so we can conclude that you need to get to that mark in order to get a good Conversion Rate. The more and better ratings and reviews you have, the better users’ sentiment will be, and that will lead to more downloads. Tip: Improving Conversion Rate to Download means more downloads with the same amount of app store listing traffic… An epic win! It’s important to mention that for iOS apps is possible to reset user ratings when a new version is released, so you can get a more accurate rating of your app if you have done significant changes. In Google Play this feature isn’t available, so it’s important to test everything you need to fix before releasing an update. Also, consider that a good design of your product page can translate into a chance to get featured on the app stores. User feedback (reviews) is useful for both users and developers. New users get the insight they need to decide whether to download or not, and developers can see whether the app doesn’t work properly or what needs to be improved and fix it. You should also take into account that most of the users won’t write reviews unless the app crashes or has bugs that generate frustration. If an app works fine they probably won’t take the time to leave a good review, as the app “just works”. It’s what’s expected to do. So, to get more of them it’s important to come up with a great strategy that invites users to rate your app positively. As we can see, user ratings and reviews matter for ASO. An app’s average rating will determine where the app will show up and rank on search results pages for n keywords. Few / low ratings will affect search rankings and visibility, as the app stores give more visibility in Search for apps well rated. On the opposite, lots of good user ratings will boost an app’s visibility and, therefore, downloads. In order to get more good ratings and reviews we should recognize how users interact with our app and why are they rating it (is it because it has a bug or something that needs to be fixed? is it because they are happy? ), so we can work on that, resulting on an increase of our app’ Search visibility and organic downloads volume. Another aspect worth mentioning is that the use of keywords in user reviews matters for Google Play Store Search rankings; as their presence help improve those keywords rankings. The best way to avoid a bad review is to make ourselves reachable. If users can contact us directly to report a bug or an issue that needs to be fixed they probably won’t leave a bad review. So, we need to work on our app interface to offer users the possibility to report a problem. We can also add contact info at the end of our app description, such as email, Twitter account, etc. It’s also optimal to have a website or landing page focused on support. Another good strategy is to ask users for their satisfaction. Remember, though, that these questions shouldn’t be sent in the middle of the action, that will only cause frustration to the users. Wait for them to complete a task, or a level (if it’s the case of a game) to ask for their opinion, and be careful with your words, as it is better to ask if they like the app rather than imploring for a 5-star rating… Don’t do that! If you are interested in further reading on how to get better ratings, check out these 10 tips to improve them. TheTool is a good solution to monitor users’ sentiment towards our app or game. One of the metrics displayed is Ratings, which includes several charts to analyze how is our app doing and, therefore, use this data in our advantage. And last but not least, this interesting chart shows the relation between global ratings and global installs. As we can see, the more ratings, the more installs and the more installs, the more ratings. It’s crucial to invest on the UX and UI of our app, and users will be the first to experience and can help with that. There are some tools that you can use in order to achieve that optimal mobile user experience. We share some that could be useful for you! Mopinion is a software that allows you to collect feedback from both websites and mobile apps. It lets users include screenshots to their feedback, and you can visualise it in real time and it works with iOS, Android and Windows. Packages offered cost 79€/month (starter), 199€/month (growth), 499€/month (turbo) and Enterprise (upon request). Apptentive is an in-app feedback tool that help us connect with the audience. Users can take surveys and allows us to collect both qualitative and quantitative data. Its price goes upon request. Appstark help developers engaging with app users through an advanced communication process. They can open conversations within the app and send direct messages to developers to get a direct reply. Its pricings are $10/month (basic), $47/month (standard) and Enterprise. Doorbell lets developers collect elaborate in-app feedback from users. It has an instant notification system when feedback is recept in the form of either email or chat. It’s also possible to submit screenshots or attachments and it tags feedback using sentiment analysis (positive or negative). Its prices are $9/month (Bootstrap), $29/month (Startup) and $49/month (Business). The iOS User Feedback Prompt (SKStoreReviewController) is the free option for app developers from Apple App Store to request ratings and reviews in a consistent and nonintrusive way. Identify when is the proper moment to ask for feedback and the system will display an in-app prompt that asks for a rating and an optional written review. Read more here. HelpStack is an open source help desk for iOS and Android app development. It is free and it allows users to report in-app, real time in-app chat, in-app FAQ, among other features. Instabug is another free option for beginners. It lets users contact you directly to report where the bugs are, rather than leaving them on the App Store or Google Play. Its free plan is limited to in-app feedback and screenshot attachment for 2 apps. Responding to a bad review can generate frustration and anxiety, but you shouldn’t fear it. Consider it an opportunity to improve your product, your brand and your customer service. First of all, you shouldn’t reply to a bad review right away, as it can backfire if you don’t think things through. Sometimes you’ll get unfair attacks or critics, but you need to stay calm and don’t get emotional because this negativity can be spread very easily and affect your reputation. Take your time and assess the problem calmly. Secondly, it is crucial to give a solution to the review. Don’t make elaborated and empty responses that won’t solve the user’s problem. Empathy is your best ally, so try to acknowledge their concerns and make it right, at least giving contact info to follow up. Also, don’t be afraid to respond publicly, as it will show the rest of the community that you care for their opinion and give solutions. 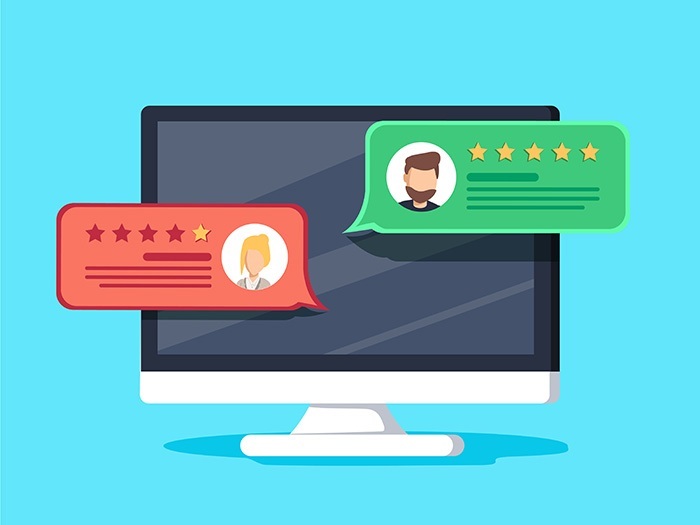 On the other hand, good reviews are more grateful and easy to answer, but it’s also important to answer them because you can make these already happy users your fans and get good publicity. Some of the things you can do when addressing a good review is, of course, show gratitude. It demonstrates that you pay attention and care. You can also provide them with additional value or information to make your reply richer. Present extra information about the feature the user has liked, for example. When replying to reviews, keep in mind that you need to acknowledge the review and be thankful for it. Creativity will help a lot, it shows empathy and it will help building a strong community. Also, as stated before, a bad review can’t go unattended. Statistically, a dissatisfied customer will tell between 8 and 15 people, and it takes nearly a dozen of good experiences to compensate for a bad one. Isn’t that enough to make an effort and give solutions? We think it is. As we were saying before, the approach to follow is similar to answering good reviews, as sometimes giving a personal touch is more than enough. Don’t use generic responses like “refer to our FAQ section” or negative replies like “I can’t do that”, “we can’t fix it right now”… The list goes on and on. You just need to acknowledge their problem, apologize and sympathize. Offer a solution and, if there still are problems, redirect the discussion off the App Store. Ratings and Reviews are a key aspect for any ASO strategy, as it has been shown that they impact Search Visibility, Conversion Rate to Download and the possibility of being featured on the app stores. It’s vital that you don’t neglect them. Sympathize with your audience and try to make the better user experience possible for your app in order to keep them satisfied. Remember that good ratings will get you more installs, and good reviews will get you good publicity. As simple as that! Feel free to share this article about Ratings and Reviews if you liked it. Content & Social Media Manager at TheTool. I enjoy practicing sports, listening to good music and learning everything that has to do with technology.